Many recurrent problems in the segment of Russia’s water transport has started being successfully handled in the recent years but the industry faces more and more new challenges. Among the issues of today’s agenda is the surge of bunker fuel prices and absence of balance between different types of transport. Key challenges of inland water transport have long been the fleet deterioration, low financing of IWW infrastructure, bottlenecks hindering shipping. Over the recent years, those problems have started being handled successfully, largely owing to the efforts of Victor Olersky, Ex-Deputy Minister of Transport. The programmes of state support to shipping and shipbuilding have become operational, construction of Bagaevsky and Nizhegorodsky hydro-engineering facilities has begun, financing of inland water ways has started nearing the normal level. When speaking at the extended meeting of the Board and Public Council of the Federal Marine and River Transport Agency (Rosmorrechflot) held in Moscow this June, newly appointed Transport Minister Yevgeny Ditrikh emphasized that implementation of the ambitious investment projects on construction of hydraulic engineering facilities should result in increased cargo traffic through inland water ways. According to him, the work on debottlenecking should not be stopped so that considerable allocations for solving the problem of low water in some sections of waterways would not be cut down by bottlenecks in other sections. According to Victor Vovk, deputy head of Rosmorrechflot, implementation of the Bagaevsky and Nizhegorodsky projects will generally solve the problem of bottlenecks. However, construction of the second thread of Nizhnesvirsky hydraulic engineering facility will be required in the future. It should be noted that Rosmorrechflot earlier made a principal decision not to implement the Nizhnesvirsky project simultaneously with the Bagayevsky project amid the budget deficit with the priority given to the latter one. Rosmorrechflot calculations show that implementation of the Nizhegorodsky project will let annual cargo flow grow from the current 4.5 million tonnes to 25 million tonnes and more. Implementation of the Bagayevsky project will bring additional 18-19 million tonnes per year over a couple of years. At the same time, implementation of the Nizhegorodsky project will ensure a gradual growth of cargo flow allowing for setting aside the Nizhnesvirsky project. One more potential bottleneck on inland water ways of Russia is the Kambarka area in Udmurtia. “If the cargo flow from Solikamsk grows waterways we will undertake measures to debottleneck it”, said Victor Vovk. The interest of Mechel in selling the port of Kambarka is notable in this context. The company told IAA PortNews that earlier announced plans about the port development are still valid while proposals of other companies on the purchase of this asset are under consideration. The surge of fuel prices in Russia has resulted in decreased profitability of shipping companies. 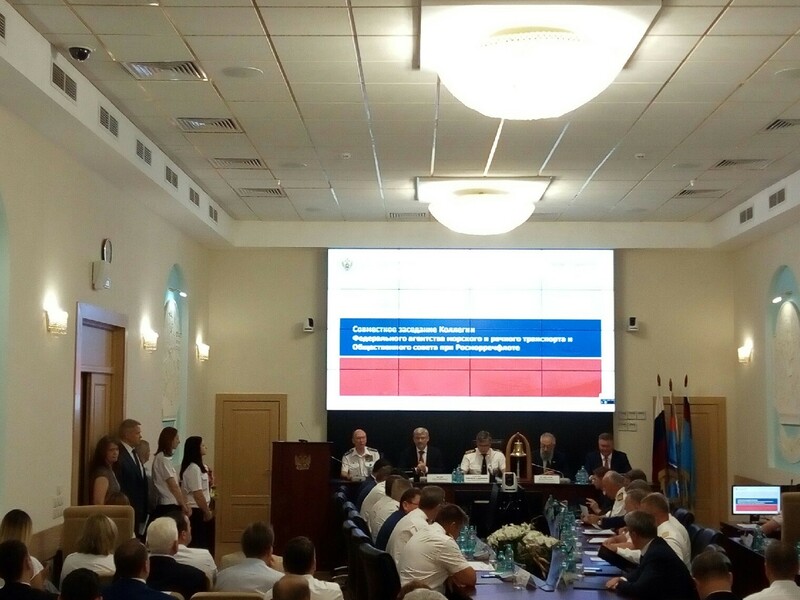 When speaking at the extended meeting of Rosmorrechflot Board and Public Council, Aleksey Klyavin, President of Russian Chamber of Shipping, told about a critical situation in the segment of water transport caused by the surge of fuel prices: apart from high prices there is a deficit of fuel in the market. 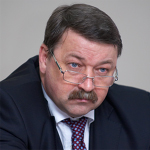 Yevgeny Ditrikh, RF Transport Minister, promised, in his turn, to bring this issue up at the Government of Russia so that state support would be provided thereof. According to him, the industry of inland water transport should obtain state support amid the growth of fuel prices. However, he mentioned no forms or parameters of possible state support. The absence of balance between different types of transport is a systemic problem. To a great extent, the solution will confirm the efficiency of the new Minister. 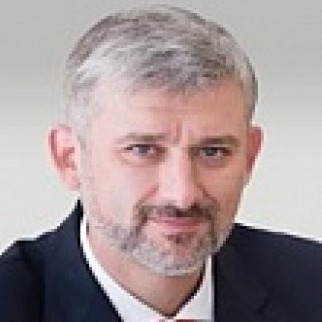 The first steps were made by Maxim Sokolov: Platon system to collect toll from truck owners. This measure, which has not started working in full force yet, has slightly balanced road transport with other types of transport but the focus of the problem has shifted to the competition between railway and road transport. In March 2018, Victor Olersky announced the transport balance criteria would be developed by 2019. According to him, they are to be founded on understanding of which distances and volumes are efficient when it comes to transportation by this or that type of transport. It is not clear yet if this approach will be applied by the new team of the Ministry: his issue was not touched at the recent meeting of Rosmorrechflot Board. Subsidies covering interest rates on loans and leasing payments for ship owners placing orders at domestic shipyards is among the key state support measures. It has already encouraged the construction of many inland water ships. However, with the decreased key interest rate of the Central Bank and, consequently, easing of credit it takes a back seat to ship utilization grant though its financing does not meet the needs of ship owners in respect of fleet upgrading. The plans to launch a programme of privileged leasing for shipbuilding discussed earlier provided for allocation of RUB 33 billion from the state budget. The proposals in this respect were forwarded by United Shipbuilding Corporation with its captive leasing company and State Transport Leasing Company which currently hold the largest backlog of leasing contracts in the segment of shipbuilding. STLC programme on the development of leasing in the segment of domestic shipbuilding is based on the model successfully used for operational leasing of Sukhoi Superjet 100. Anyway, the new industry leaders will have to deal with further application of state support measures which are crucial for the fleet upgrading. The Ministry of Industry and Trade is, in its turn, developing new measures of state support to domestic shipbuilding including the amendments into the Merchant Shipping Code of the Russian Federation. They will cover operation of vessels built outside Russia. One more problem is the low wages of Rosmorrechflot inspectors which has a direct impact on the efficiency of inland water transport’s safety system. Yevgeny Ditrikh emphasized that additional financing for this purpose is not expected. Therefore, he suggested redistribution of the wage and bonus funds in favour of busier inspectors. The outlined problems are the most urgent in the segment of inland water transport. New heads of the Ministry and Rosmorrechflot are facing hard work to be done to ensure adequate financing of the existing projects and to find a balance between different types of transport.